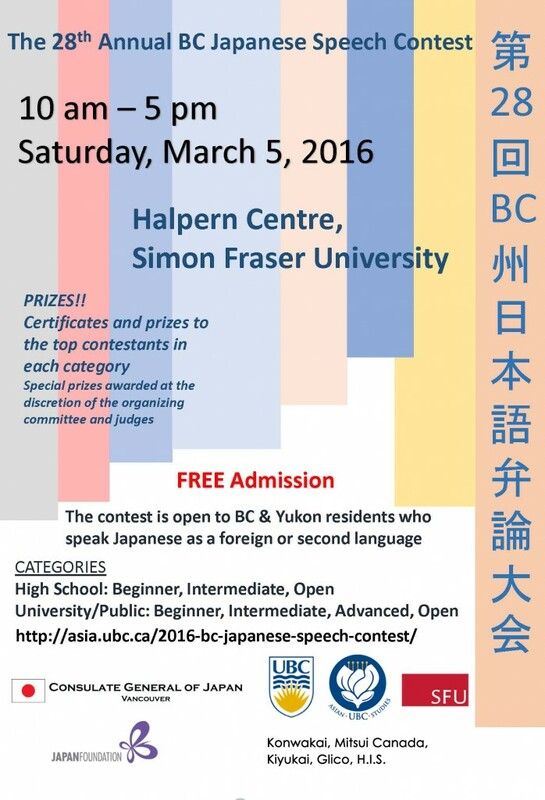 Fifteen students from UBC were selected as finalists to participate in the 28th Annual BC Japanese Speech Contest held at Simon Fraser University on March 5th. Our contestants were: Joanna Conde, Seungyoung Jung, Hanah Shin, Kevin Chou, Christopher Goeb, Alfred Ko, Thomas Pride, Carmela de Torres, Jerry Fang, Lily Guo, Jingjun Jiang, Eva Qiu, Jeremy Sit, Tsuyoshi Hamanaka and Jaehyun Shim. Ten of them won prizes in various categories. 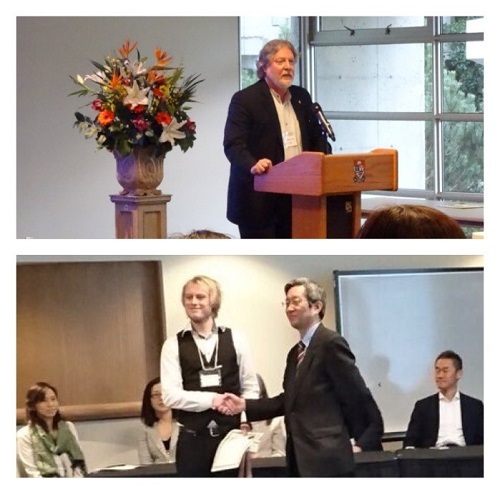 Our associate department head, Joshua Mostow, served as a judge for the University Category and presented the judges’ comments at the Award Ceremony. He also presented prizes to the winners of the High School Category. 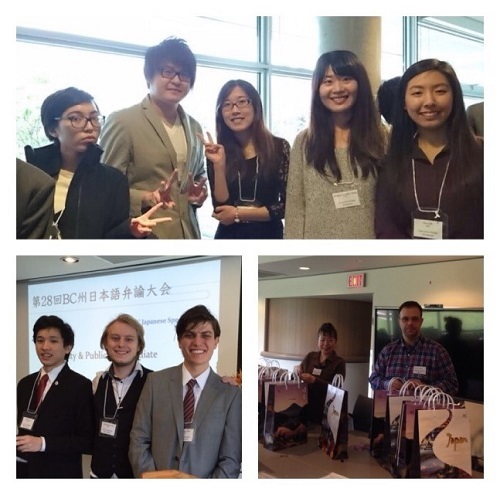 Christopher, Jeremy and Tsuyoshi won the first prizes in the Intermediate, Advanced and Open categories respectively, and will present their speeches at the Canada National Japanese Speech Contest in Toronto on March 19th. 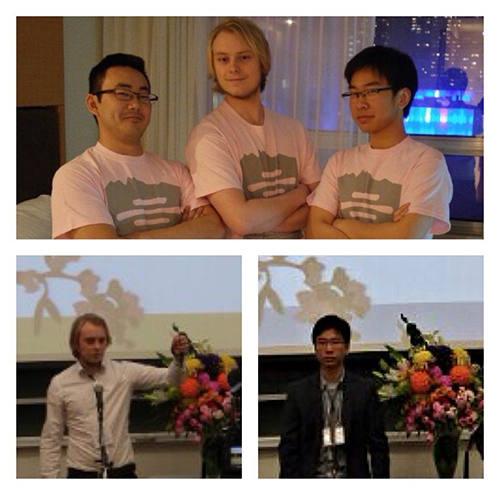 All Japanese teachers are proud of the achievements of our students! 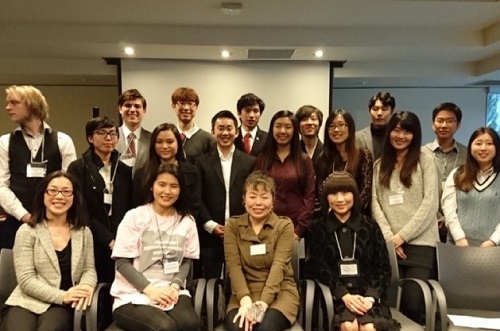 The first prize winners of the 28th BC Japanese speech contest from UBC, Tsuyoshi Hamanaka, Christopher Goeb and Jeremy Sit, presented their speeches at the 27th Canada National Japanese Speech Contest held at the University of Toronto on March 19th. Chris won third prize in the Intermediate level category and Jeremy placed second in the Advance level category. Congratulations!